Developing your intuition is a skill you can use for your daily life. Your intuition is like having a good friend that you can always count on and will never let you down. 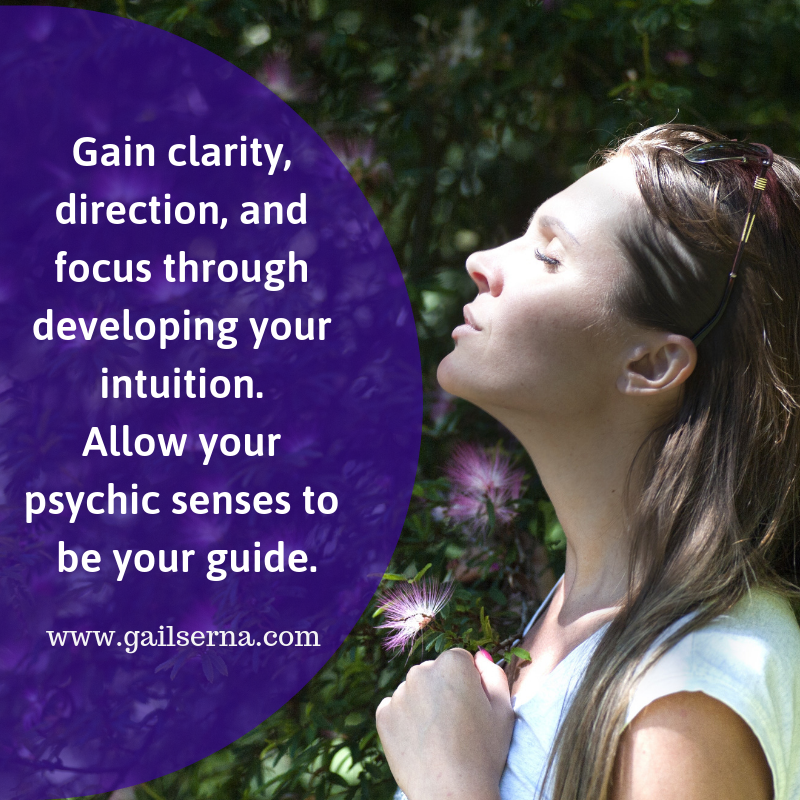 Why should you develop your intuition? Using your psychic or intuitive skills will help you live a more joyful life. Developing your intuitive abilities are the key. Often, we make decisions from our busy mind. Our thoughts (let’s face it) are often negative. Have you ever asked yourself why you repeat the same pattern in life? It is probably because you are not making decisions from your intuition. Once you learn to quiet your mind and change your focus through the proper protocols (which you will learn in this class) your spiritual self is there to guide you. You will find that your spiritual self wants what is best for you and listening to that guidance is the key to choosing the right path in your life and living a life that you create based on your own terms. I personally use my own intuition to make all my decisions especially the big decisions that impact my life. you won’t have to ask a psychic if you should relocate or if the guy or gal you have been in a relationship is right for you. you will be able to figure all these things out for yourself by listening to your own guidance system. we all have our own intuition but like any muscle, you must activate it and turn it on. use your intuition to benefit yourself to live a joyful life and make sound decisions. I know I have been there myself and my intuition guides me on my path daily. I can give you countless examples where my intuition has helped me. One such example is back in 2011 when I had cancer. I knew right away by checking with my higher self that I was going to be ok and my journey became about healing which is what I focused on. I am proud to report I remain cancer free. We will be using Zoom. Zoom is a video conferencing service. Once you pay for the class the link will be provided.